In more than 600 pages of intense information, Anderson lays the groundwork on how to build a secure and dependable system. Every aspect of information security is discussed in the book -- from passwords, access control, and attacks, to physical security and policy. Additionally, relevant and timely topics such as information warfare, privacy protection, access control, and more are discussed. 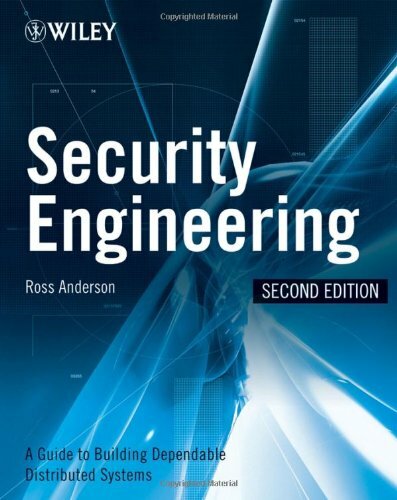 This is the only book that covers the end-to-end spectrum of security design and engineering. This document describes Public Key Infrastructures, the PKIX standards, practical PKI functionality and gives an overview of available open-source PKI implementations. Its aim is foster the creation of viable open-source PKI implementations.